Hamilton Robinson Capital Partners’ (HRCP) portfolio company Horizon Bradco has acquired 5 Star Refrigeration & Air Conditioning, Inc. Based in Brooksville, Florida, 5 Star Refrigeration is a leading refrigeration equipment distributor and service provider to the area’s leading supermarkets and convenience stores. “I am very excited about 5 Star Refrigeration joining the Horizon Bradco team. The combination of 5 Star and Horizon Bradco represents a major strategic step forward. We look forward to advancing our capabilities to better service our customers’ short term and longer term plans for growth” said Joe Mathews, President, 5 Star Refrigeration. “5 Star has built a great team with exceptional capabilities and possesses a customer centric culture that is consistent with ours. The acquisition strengthens our position on the “cold side” of our business while increasing our presence in Florida, a key growth area for Horizon Bradco” said Mark Panozzo, CEO, Horizon Bradco. 5 Star will maintain its existing name and will continue to operate from its Brooksville, Florida location. All 5 Star employees throughout the state of Florida will remain with the company. Horizon Bradco is a leading food equipment solutions and service provider to the supermarket, meat processing, bakery and food commissary markets. Founded in 1987, the company is headquartered in Schenectady, New York with additional office locations in Massachusetts, South Carolina, and Florida. 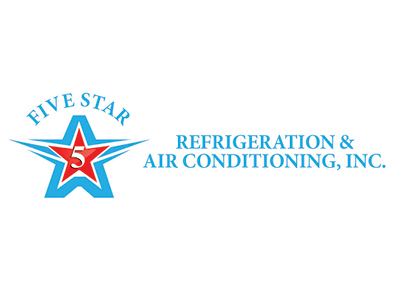 5 Star Refrigeration is a leading refrigeration, HVAC and energy management provider serving the top supermarket and retail food chains in the Southeastern United States.